It happens almost every season, on every talent show: A promising singer is presented by producers as being a fresh-off-the-turnip-truck total unknown, but it only takes a few YouTube or Wikipedia searches to uncover that contestant's illustrious professional past — and the public cries foul. Such "scandals" surrounded "American Idol" contestants Carly Smithson and Joanna Pacitti, who'd had major-label deals as teens, and "The X Factor" Season 1's Stacy Francis, who became the focus of a Perez Hilton smear campaign after her extensive showbiz background came to light. Even "The Voice," probably the most transparent talent show when it comes to casting seasoned professionals, caught some flak this year for putting through Judith Hill, a veteran who'd sung backup for Michael Jackson. 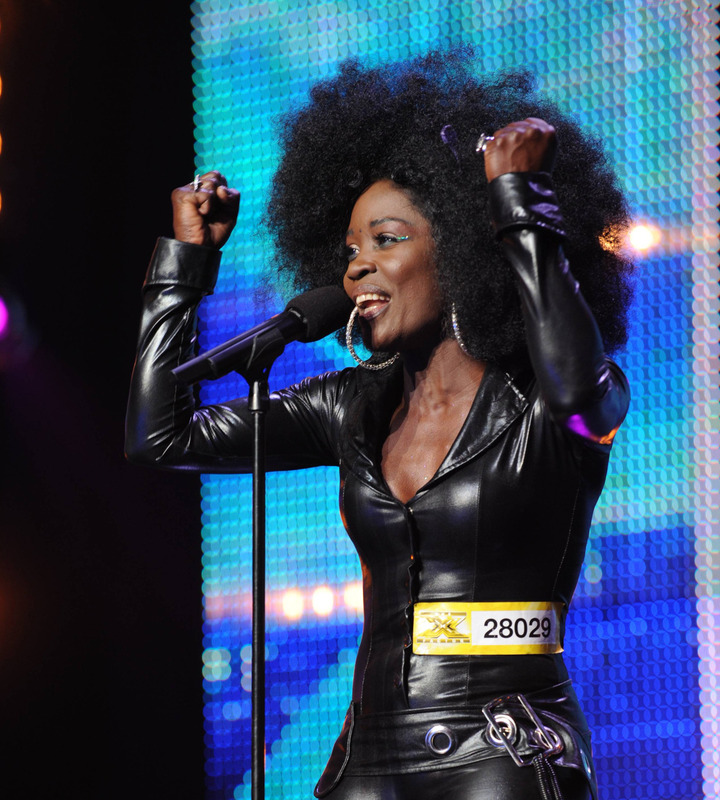 And the latest such controversy centers on "X Factor" Season 3 standout Lillie McCloud. Lillie, an incredibly ageless 54-year-old diva, seemed to come out of nowhere on "The X Factor's" premiere, wowing everyone with her soul-stirring performance; judge Kelly Rowland even exclaimed, "Where have you been hiding?" But nothing remains hidden online, and once Lillie's daughter tweeted about the audition using the name "Nicole McCloud," the secret was out. It didn't take long for the Interweb to start buzzing about Lillie's past. My Mother Nicole McCloud the biggest inspiration for my creating #TNM Nonprofit #MusicFAM has just performed on #XFactor and I am in tears! 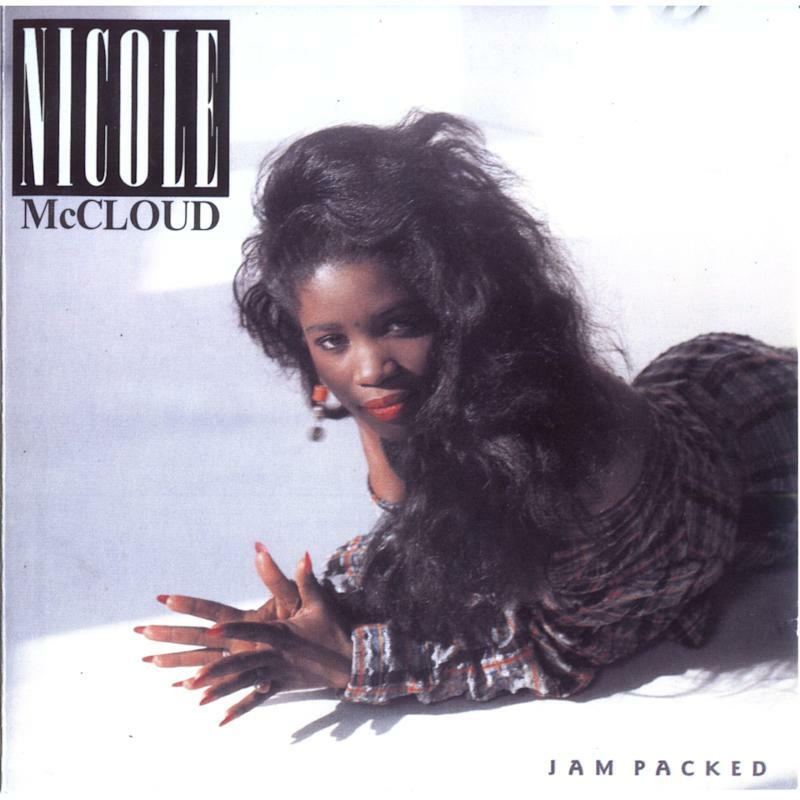 While "X Factor" editors had presented Lillie as a humble mother and grandmother finally pursuing her deferred musical dream, it turned out she actually had a long résumé dating back the 1980s — under the stage name Nicole McCloud — that included a deal with Portrait/Epic Records, four albums, gigs alongside stars like Mick Jagger and Michael Jackson, and 10 singles that made the U.S. Billboard Dance chart. Lillie even once sang the theme song to "Slovakia's Got Talent," indicating a possible connection to "Got Talent"/"X Factor" franchise creator Simon Cowell. A story on Lillie/Nicole's background first appeared on the pop-culture website MJsBigBlog, and a Stacy Francis-like backlash was in effect before "The X Factor" had even finished airing on the West Coast — already tarnishing what should have been Lillie's big moment. "So, it's all bull. The X Factor is turning into The Voice, recruiting real, accomplished artists who are down on their luck. 'Discovering a superstar?!' Really?" posted one irate MJ reader, Sassycatz. "There's a huge difference between playing bars, fairs, busking, anything to try and get a break, even being a session singer, to having a record deal and several Billboard charting songs, and performing with top name artists," posted another disgruntled reader, HKFan. Other commenters on the blog and on Twitter defended Lillie, but MJ reader Montavilla might have summed it up best with the comment, "I don't have a problem with her having experience. I have a problem with her having experience and pretending that she doesn't." Most fans didn't seem to begrudge Lillie's past (it's not like she ever became a huge star, and clearly she still needed this break). But they resented the show's lack of disclosure. Lillie spoke to Yahoo Music's Reality Rocks the day after her "X Factor" audition aired to set the record straight. "I personally embrace my past, and hopefully with all the controversy, I'll get a chance to speak out, because people — I would say 'haters,' is what I call them — don't know my story. When you have children, it's a no-brainer: You can't go for everything you want to go for, and you let opportunities pass you by. I'm sure that had I not had children, maybe I would have reached my goal. But I've got three kids and seven grandkids, so I missed so many opportunities that I could have said yes to, that would have helped launch my career. 'The X Factor,' I mean, they know everything about my life, so they made a decision on how they wanted to put me out there. Was it a wrong decision? I don't think so. I think they wanted to catch on the more intimate side of me, and let me do the talking as far as my career. And you know, if someone's really interested and they search my name, they can find out anything they want to find out, anyways." As for that name, Lillie is in fact the name on her birth certificate, although she never billed herself as such until Simon Cowell (whom Lillie says she never met before, despite the aforementioned "Got Talent" connection) started doing so. "He just started calling me Lillie [the legal name on her documents], and I said, 'Okay, I guess I'm Lillie, then,'" she recalls. "I didn't intend to use my real name; the only people who know my real name are the bill collectors! But Simon went on 'Chelsea Handler,' and he mentioned 'Lillie,' and it just kind of took off from there." As for her earlier accomplishments in the dance world, Lillie said, "Yes, I had some success, and it was a great market to be in, but it was just not for my heart. I never could get any of the record labels to take me seriously or let me do what I wanted to do. They were always pushing me in the dance market, and although I appreciate that and I had a really good time doing that, it was never where I wanted to get to in my career. I had some records out and they charted okay, and I had my fanbase and did the little nightclubs in New York or the big cities, and that was about as far as I went. But a long time ago because of one [hit] song, 'Don't You Want My Love,' it allowed me to go overseas and get more corporate on a high scale with dates in Europe and that kind of thing. So the name allowed me to keep working, here and abroad." Lillie quit music in 2004 and soon after permanently relocated to Europe (to Slovakia, where she lived with her boyfriend at the time), after years of frustration in the business. "I just walked away from it because it just wasn't going well. You know, you have a record out there, and to some people it's like, 'Oh my God, she's a superstar!' But when you look in your bank account, you're not." But Lillie eventually caught the performance bug again and starting gigging around Europe. "When I couldn't make it in the recording industry, I told myself, 'I'm going try to become one of the best live performers around,'" she recalled. And all that practice paid off when Lillie moved back to the States (she now resides in Orlando) and decided to pursue a real recording career again…by trying out for "The X Factor." "I was following [the show] for the last couple years. It seemed to be the one place that would really reach out and give someone like me an opportunity. It just seemed like it was the place to go. I was so happy that such a show would allow someone my age a chance to be noticed, to really branch into this career properly. My sister was pushing me, and I finally said, 'Okay, I'll try it; I have nothing to lose, and everything to gain." Lillie, who found God in recent years and auditioned for "The X Factor" singing CeCe Winans's "Alabaster Box," now wants to pursue a less dancey type of gospel-crossover music that she describes as "Mary Mary vs. Bruno Mars….Although I'm in the secular world singing secular music, my objective is to go into gospel, but gospel as it's never been known before. I'm not going take off my catsuit if I feel like wearing it. I want to show the young kids that you can have a party and really get down with gospel. So the type of music I'm hearing in my head is something that hasn't been released before. Hopefully I'll find a producer that can get in and unravel my thoughts, and get it onto tape." As for the public debate regarding whether someone as seasoned as Lillie deserves another chance in a forum like "The X Factor," Lillie points out that there are plenty of singing-show contestants with similar pasts. "There's so many of us who have had careers before, from 'American Idol' to 'The Voice' to 'The X Factor.' If you search the background on every contestant, you're going to find quite a few that have experience in this industry. But we're here on these shows because we didn't make it." Perhaps Lillie will finally "make it" after all, if "X Factor" fans give her a chance — and "X Factor" editors tell her entire story. More about "The X Factor"